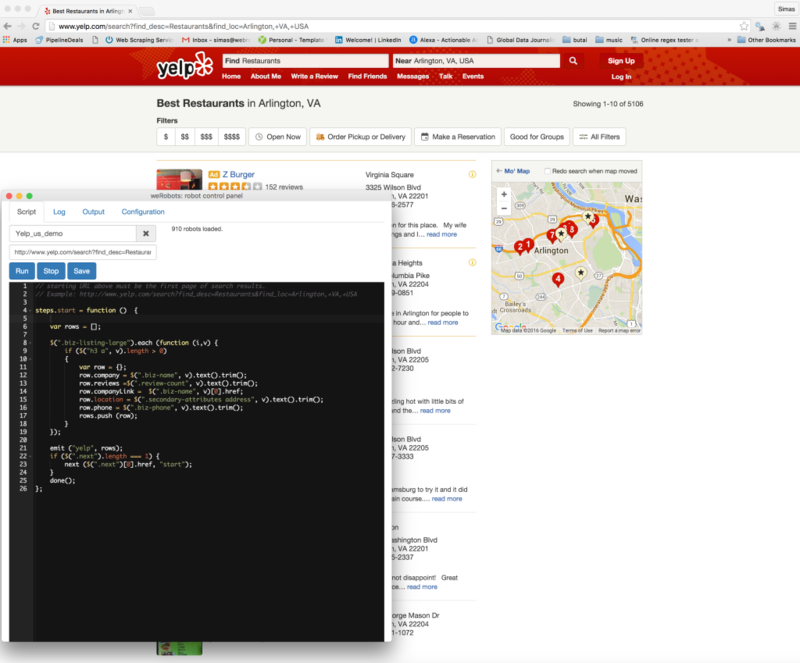 Find robot named Yelp_us_demo in the dropdown. This robot is placed in our Demo space – therefore it is accessible to anyone. Anyone will be able to modify and run it, anyone will be able to download collected data. Robot’s code may be edited by someone else, but you can always restore it from sample code below. Yelp limits number of search results, so do not expect to scrape more results than you would normally see by search. // starting URL above must be the first page of search results. What is the html for email extraction? What is the html for email extraction? anyone? Did you find the email extraction?